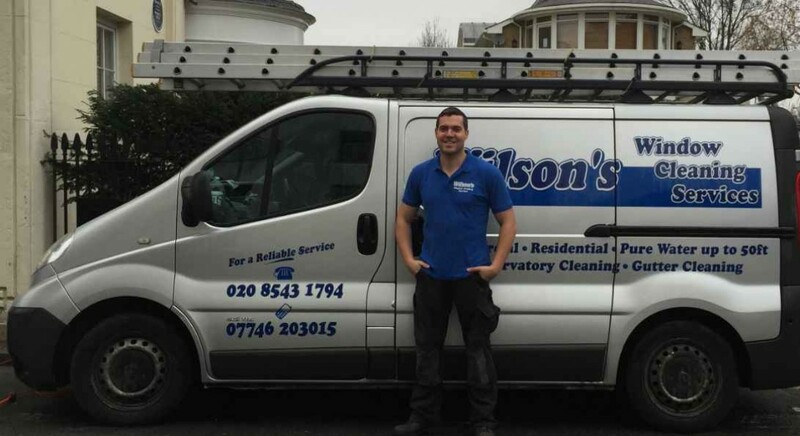 Wilson’s Window Cleaning is a local family-run business, established since 2005 based in Morden, Surrey. As a company we are continually are up to date with the health and saftey regulations and use the lastest professional cleaning equipment. We ensure that our clients get the highest quality service at the best possible prices. Our team of expert window cleaners use the Reach and Wash system. With this method we employ a telescopic pole attached to the cleaning apparatus. This uses 100% pure water that is pumped directly through the pole. No harmful chemicals are required, effectively eliminating the environmental impact of our cleaning methods. Wilsons Window Cleaning staff are highly trained and full public liability insured so rest assured your are in safe hands. In addition to our window cleaning services, we also provide gutter cleaning and maintenance. Our range of clientele includes residential properties, commercial offices, shops, schools and many more. We know that you will be completely satisfied with the services we offer. So contact us today for a free no obligation quotation, we look forward to hearing from you. 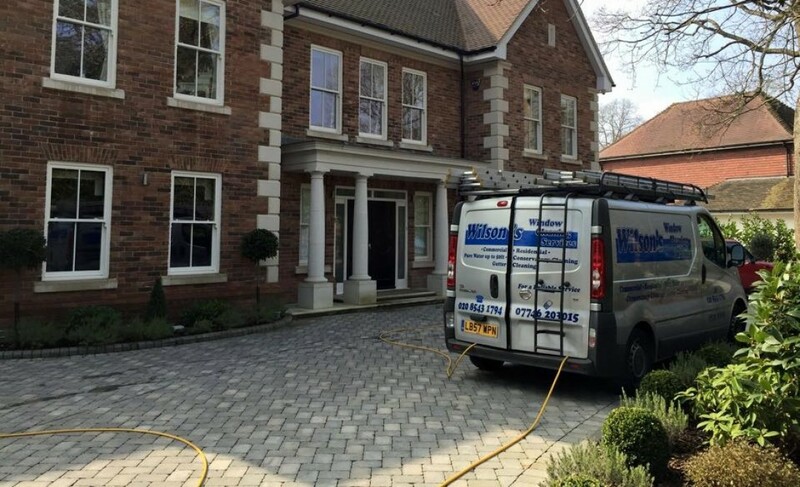 Wilsons Window Cleaning provide our window cleaning and gutter cleaning services throughout Surrey and South London including; Wimbledon, Raynes Park, Kingston, New Malden, Morden and the surrounding areas. For a free quote fill in the form below and we will get back to you as soon as possible. 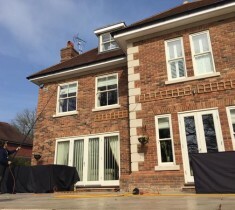 Our team of expert window cleaners provide the ultimate four or eight weekly window cleaning service to all residential properties in Wimbledon, Raynes Park, Kingston, New Malden, Morden and the surrounding areas. We use both methods of window, traditional and the latest reach and wash pole system. Whichever is most suited to your windows and property type we will ensure your windows are crystal clean. We don’t just clean the glass but frames sills and doors are covered in every price, with no hidden extras. In addition to standard windows, we can clean loft windows, solar panels, and conservatories. You can pay by cash, cheque or with online banking. Our high powered gutter cleaning vacuum completely removes: leaves, moss, stagnant water leaving your gutters clear, clean & dirt free. 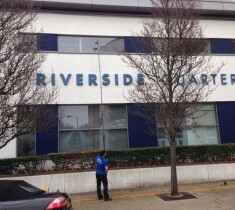 We clean the gutters of all properties in Wimbledon and the surrounding areas. We use the latest in Gutter cleaning equipment. Our “Sky gutter vacuum” removes; tile dust, grass, moss, mortar, leaves, muck and water. Leaving your completely free from blockages. 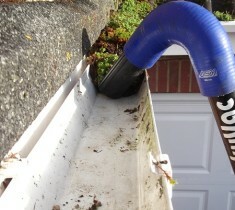 We can also manually wash clean the outside of the gutters, fascias & soffits. Please contact us for a free demonstration and no obligation quotation.